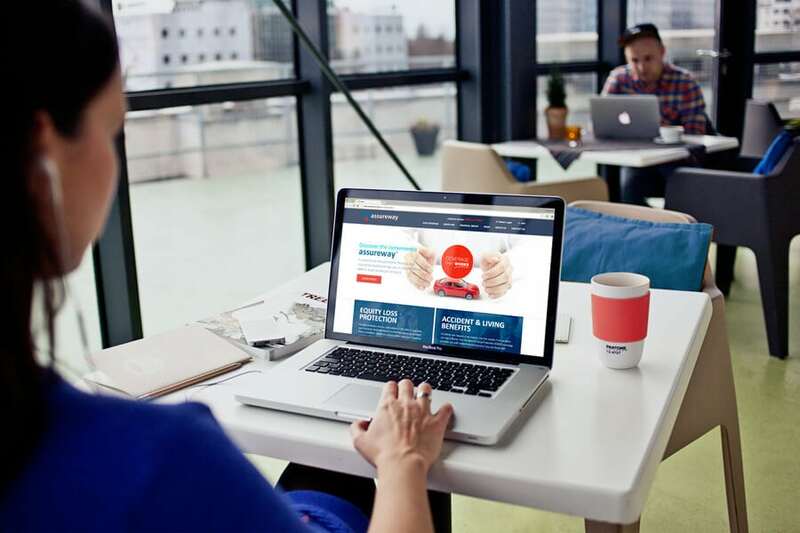 This fast-growing dealer services provider headquartered in Toronto, Ontario, wanted a fresh-looking, better-organized website to showcase new products and increase brand recognition. Convergine’s solution used brand colours, simple images, and bold, informative headlines to achieve these goals. And AssureWay’s clients are raving about the results. 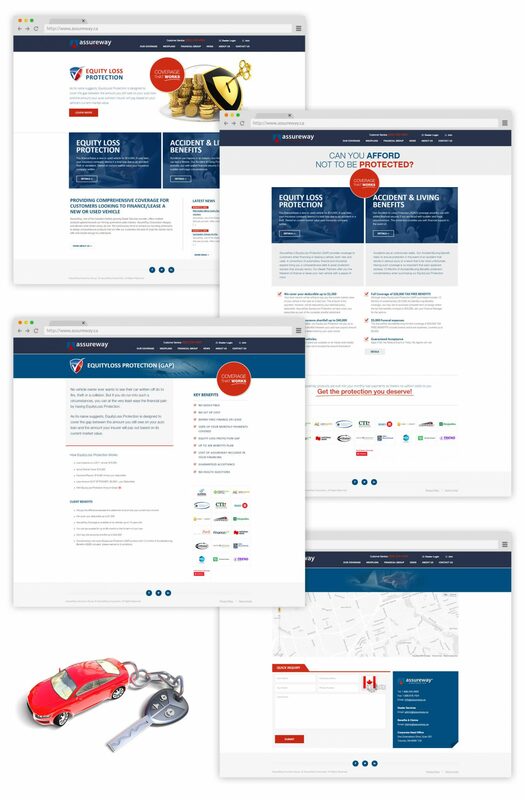 We used AssureWay’s red-and-dark-blue colour scheme throughout the site to subtly reinforce the company’s branding. Red also served to highlight calls to action such as “Learn More” and the company’s phone number. Dark blue created a deep contrast for headlines, either as text colour against a white background or as a background for white text. Plenty of white space and a sleek, columnar design keep the site contemporary. 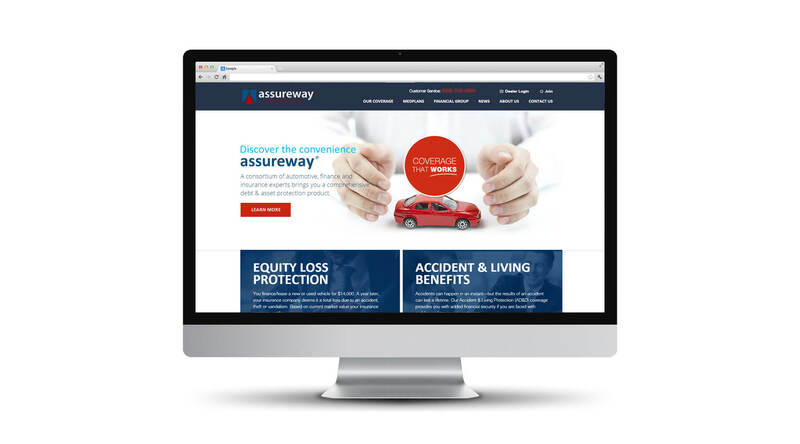 As one of Canada’s fastest-growing automotive, finance, and insurance consortiums, AssureWay has several products to showcase — and they continually add more. To make their website user-friendly, we restructured it around their three main business lines, with additional sections for company information and news (their blog). A contact page, dealer login, and signup feature are easily located in the top right of every page. Two bold callouts highlight new products on the homepage. 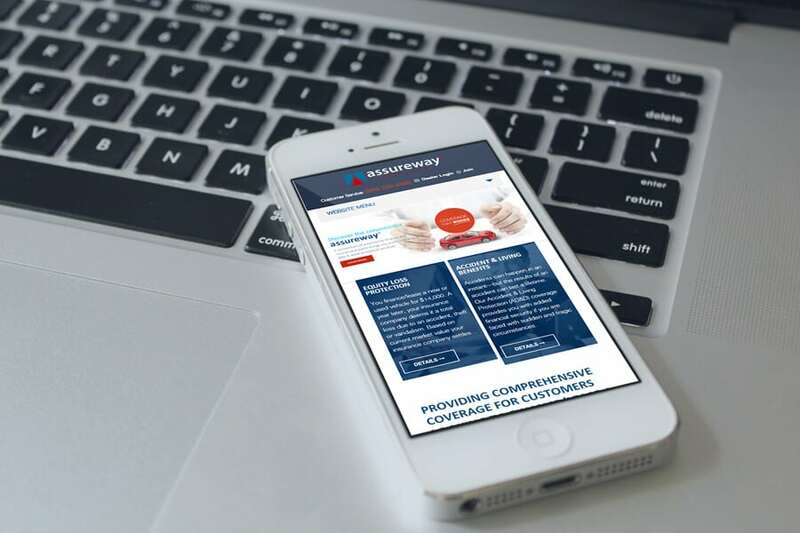 AssureWay’s clients are raving about their new website. The simple images, large sans serif font, and modern layout make it attractive and easy to use. The new structure streamlines the information and helps them locate what they need quickly, while calls to action — highlighted by red text or background — make it easy to take the next step. Overall, the site is simple but effective. Like the products it highlights, it simply works.